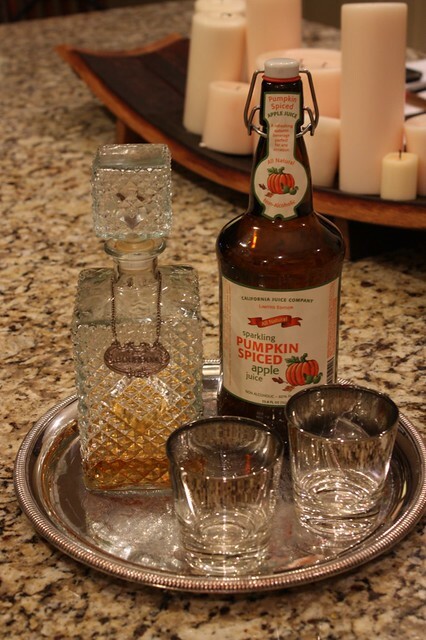 Mix Pumpkin Spiced Apple Juice (available here) with your favorite whisky; it is the drink of the season! They sounds great, and I love that bottle! Will have to go find some!! Enjoy! This sounds delissshhhhh! I gotta get my hands on some! Love both of the ingredients. Yum! This looks like the perfect fall liquor. I can't wait to try it. Well, that looks fantastic. I'm definitely going to need to have this drink, find that whiskey bottle and load up the goods on an awesome tray. You set the bar high (pun totally intended) with this one! I hope all is going well with your house and all the digging!! Cheers to you! I love the Pumpkin Spiced Apple Juice... I'll try it with some whiskey. Enjoy your weekend. Sounds good but my favorite is a dark and stormy.